​It was in August of 1988 when the Buttermilk Performance Center, designed by architects Peterson, Twohig and Due and constructed by Cardinal Construction and Thome electric, was proudly dedicated. The cost was $200,000 with the city helping with the excavation of the grounds. Funding for the structure was raised by the Buttermilk Performance Steering Committee. 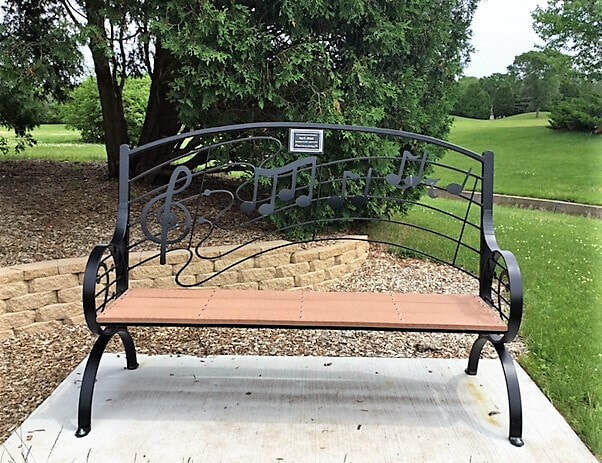 In 1987, after much informal discussion and planning with City of Fond du Lac staff, the Band’s administration assembled a steering committee of community leaders to assist with planning and fund-raising for a performance facility at Buttermilk Creek Park. 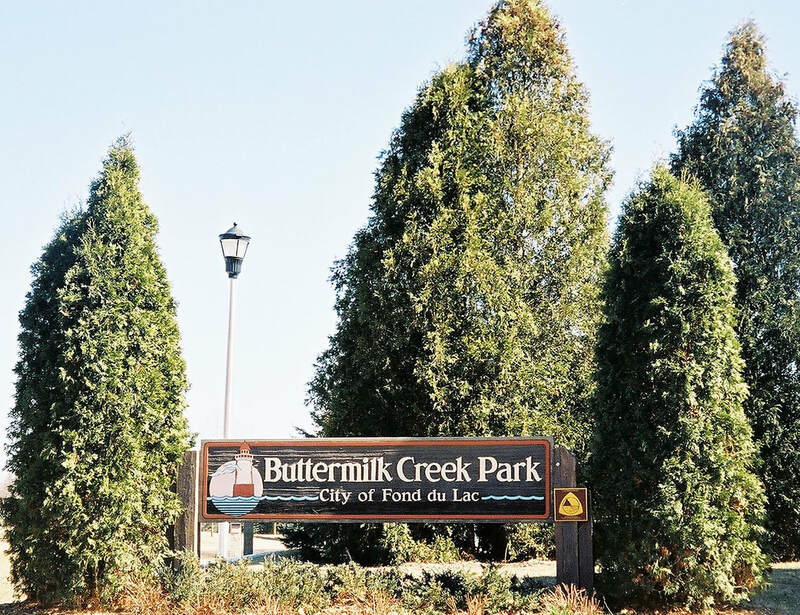 The City gave final approval and agreed to provide the site work and accept and maintain the structure upon completion, and the Buttermilk Performance Center project was underway. The Center was completed and dedicated to the community in August, 1988 at a cost of $200,000. Funds were provided by local businesses, organizations and individuals, with donations ranging in size from $5 to $15,000. In November of 2016 the Buttermilk Performance Center was renamed the Wifler Performance Center honoring the retiring symphonic band director Ray Wifler. ​The Wifler Performance Center offers programming from the second week of June through August. Monday is Music Under the Stars and Wednesday is Buttermilk Festival, both offering a variety of music such as German polkas to the Kids From Wisconsin which attracts about 4,000 people. The Symphonic Band performs regularly - see its schedule. Tucked into a corner near the bandshell, is a bench with a musical motif; there is an inscription to Ian C, Brinker, ending in "Don't Worry, Be Happy". 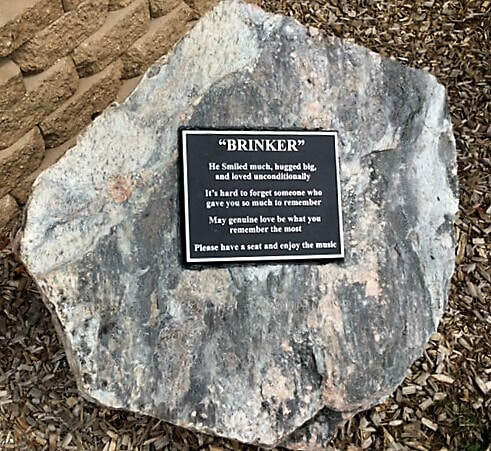 Next to it is a plaque on a stone dedicated to "Brinker".